And if that doesn't concisely summarise what it is like to visit the Auschwitz concentration camp then I'm unsure what could. Not only did this place operate as a concentration camp, but an extermination camp. An estimated 1.1 million people were killed at Auschwitz prior to the 1945 liberation. The initial tour starts at Auschwitz I. As a group you are lead through room after room of photographs of victims and items confiscated from them upon arrival. Shoes, clothing, suitcases, and most shocking of all hair. Literally piles and piles of human hair shaved from the heads of the prisoners as they entered the camp. Pots, pans and plates. If you knew you were going to die you wouldn't pack any of these items? People thought the concentration camps were work camps. They thought they would be starting a new life. 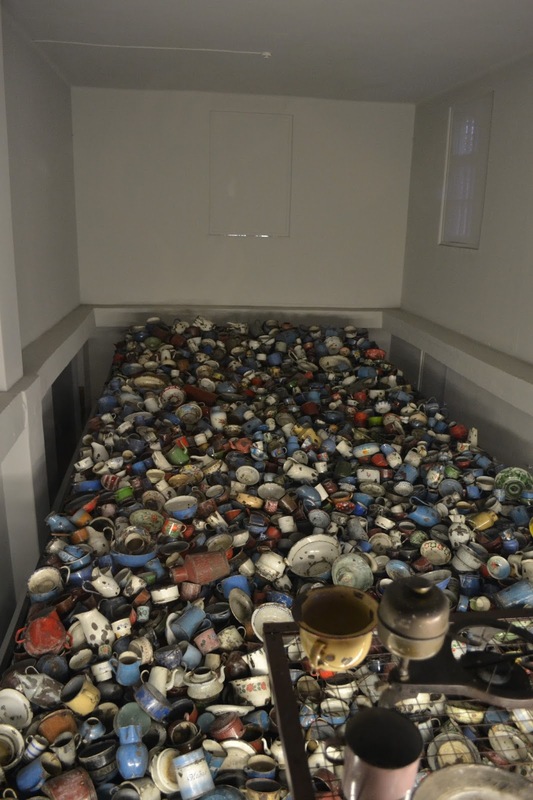 Cans from the poison used in the gas chambers. Another area contained rooms used for punishment. One room had standing cells which were less than 1 metre square. Four people would be forced to stand within each tiny cell. There were also starvation and suffocation cells. The starvation cell was used for prisoners who would not receive any food. The suffocation cell was closed so as to prevent occupants from receiving enough oxygen. Outside in the courtyard was a wall against which prisoners stood for execution. In the corridors filled with victim photographs, each picture was captioned underneath with a date and place of birth, occupation, date of arrival and date of death. Many were lawyers, teachers or doctors prior to entering the concentration camp. A number of dates of death were mere days after the date of arrival at Auschwitz. While the initial victims were photographed upon arrival the practice was soon stopped. Not only was photography expensive at the time, but documenting peoples appearances was pointless when weight loss was so immediate and extreme people were unrecognisable almost instantly. A gas chamber and crematorium remains standing at Auschwitz I. Walking through that door was the most chilling feeling. So many people died within those walls. Auschwitz II is on an unbelievably massive scale. The barracks were spread over a wide area and were more numerous than I anticipated, without counting those which were built of wood and subsequently destroyed by fire so only the chimney and foundation remains. The living conditions must have been horrendous. It is no wonder many died of disease. The main entrance to the extermination camp. The gas chambers at Auschwitz II would have been much larger than the one still standing at Auschwitz I, but there had been an attempt to destroy the buildings prior to the liberation. Remains of the gas chamber. Auschwitz II has a memorial to all those who were killed. In summary, Auschwitz is one of those places you can't explain to someone who hasn't been there. 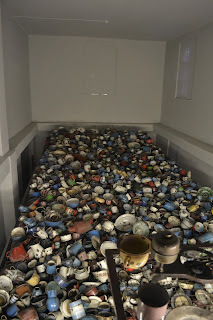 Hearing numbers thrown around like 1.1million killed really hits home when you see the mountains of possessions and walk through a gas chamber into the crematorium room. I don't think I would ever go back. Once you've seen Auschwitz once there really is no need to return because you will never forget. The human race is messed up. It is scary to think people could do this to other people.